This is the first installment in our guest blog series: A Wider Lens. 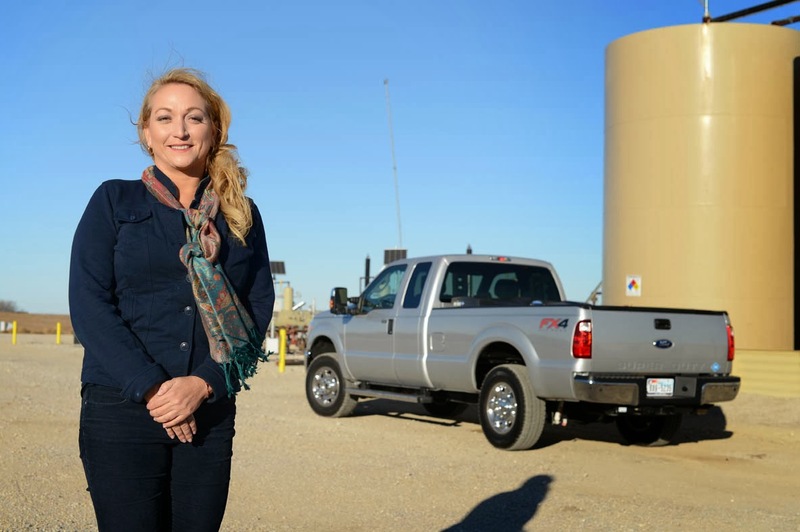 This series will feature first-hand accounts from people driving natural gas vehicles, industry leaders and decision-makers in the natural gas transportation industry. Natural gas as a vehicle fuel is a new idea to most people. When provided with a less expensive and cleaner alternative, some people are skeptical. As individuals and companies hear about opportunities for fuel cost savings they become more interested. Those who do the analysis are increasingly deciding that moving to natural gas makes sense and cents. Lynn Lyon, Director of Fuel Market Development at Pioneer Natural Resources Company: "We have significant savings, with high-mileage drivers saving up to $500 a month in fuel costs." Companies with high mileage and strong logistic insight are the first adopters because they know how to assess the impact across their operations. They have the time and the motivation to learn more about their fuel options. With over ten per cent of Fortune 100 companies currently using natural gas to fuel transportation, Pioneer Natural Resources is in good company. Leading companies in retail, food services, shipping, technology and consumer products are learning about the benefits of switching to natural gas. 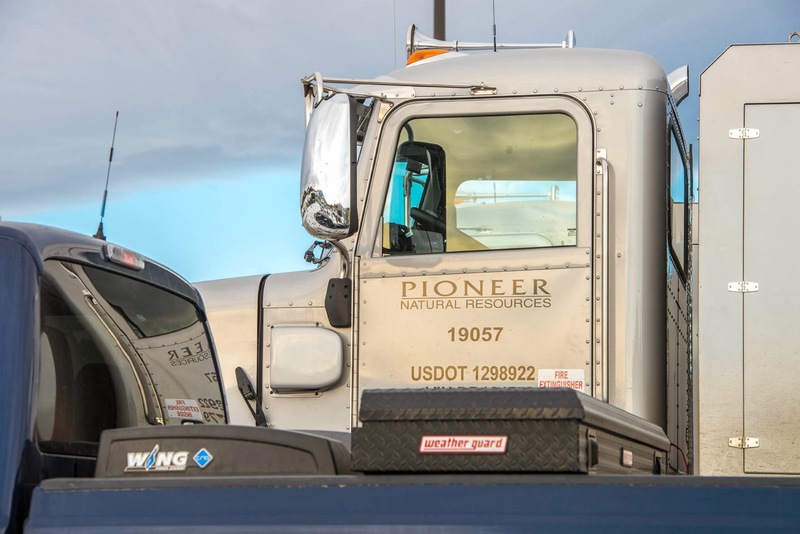 Pioneer Natural Resources started converting fleet vehicles to run on compressed natural gas in 2008 with a small pilot project in Southern Colorado. As an early adopter, we had an opportunity to learn about how our product, natural gas, could be used in our fleet vehicles. Our first station was not big enough and we had some frustrating but manageable problems with our trucks. Our perseverance paid off though and we are proud of the results. We have learned that the technology with trucks and stations have improved and provide a stable base for operations. With widespread natural gas pipelines to access and the rapid increase of public stations, we have increased confidence in our ability to fuel up at locations throughout Texas. At this point the biggest challenge is the willingness to change. Pioneer Natural Resources has over 270 natural gas vehicles with operations in Texas, Kansas, Colorado and Alaska. We currently have over 270 natural gas powered vehicles in our fleet. The majority are bi-fuel Ford F-250 Trucks with the bi-fuel Westport WiNG™ Power System. We also use dedicated Peterbilt heavy duty trucks and Honda Civic NGV sedans. We developed three private stations in remote field operations to use local gas. We have teamed up with retail natural gas fuel stations in some locations and expect to use more gas from retailers in the future. We have significant savings, with high-mileage drivers saving up to five hundred dollars a month in fuel costs. Our trucks and stations have been performing well with minimal issues. When we do have a problem, our relationship with Westport helps us resolve issues quickly. I personally drive a Westport WiNG ™ Ford F-250 and have been impressed with the seamless transition from natural gas to gasoline when I drive to a remote location without natural gas fueling access. The engine switches fuels while the truck is moving with no interruption – the only way to know that it has switched is to watch the fuel gauges. Affordable fuel is good for Pioneer and everyone. In the not too distant future, we are expecting more fueling stations and competitive prices for compressed natural gas, at $1-2.00 below the prices of gasoline. We our building off of our successful fleet transition by assessing gasoline and diesel displacement projects with our third party suppliers, drilling operations, pressure pumping services and mining operations. Switching to natural gas fueling may provide significant savings in many parts of our operations in the future.